Halifax-based RovaultAI has designed a marine camera solution that could potentially save $2 million per year for some of the region’s seafood plants. The algorithm-based visual recognition software is specifically designed for the oceans sector and identifies species based on size, growth and health. Rovault plans to integrate its technology into shrimp processing plants to help increase the yield in an industry where usable meat is often wasted. Co-Founder and CEO Ehsan Lavasani said the technology caught the eye of Louisbourg Seafoods while he was presenting it at a local pitching competition. The Cape Breton fisheries company invited Rovault to come to its processing plant. While spending time on the factory floor in July, Lavasani learned that Louisbourg loses about 60 percent of its shrimp during processing. 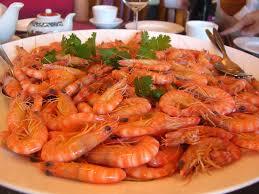 Low yield is common with shrimp because the crustacean is so small and its delicate meat is encased in a shell. Good meat is often destroyed and wasted through the peeling and sorting process. Louisbourg processes nearly 70,000 to 100,000 pounds of shrimp every day but only 25 percent of that shrimp is used, which is common in most shrimp processing plants. Lavasani said even the smallest increase in shrimp yield can boost revenues substantially for shellfish processors. To achieve this, Rovault plans to add a step to the production line where its advanced camera will scan the rejected shrimp pile and filter out more good meat. Rovault is committed to getting its technology to market through its partnership with Louisbourg and plans to pilot its first prototype with the company this coming spring. Lavasani is confident the solution solves the problems for this market but validating the technology to the industry has its own challenges. Rovault has to work closely with the people in rural fishing comminutes though they are often reluctant to implement new technology that could replace human jobs. Rovault recently raised $25,000 in non-dilutive funding through Innovacorp’s Blue Solutions Startup Challenge and $10,000 through Dalhousie University’s LaunchPad competition. In November, the company also received a $25,000 equity investment from the Volta Cohort pitching competition. Lavasani said visual recognition software customized for the ocean sector is a new application for this technology and the $50,000 in total funding has given him confidence the technology can make fisheries more efficient.